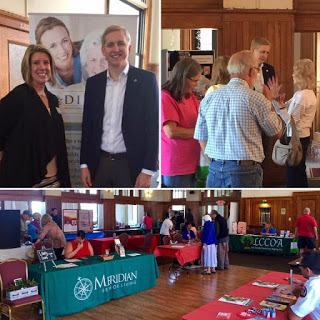 Dixon… Representative Tom Demmer (R-Dixon) held his annual Senior Citizens’ Health Fair on September 8, from 10:00 am until Noon, at the Lee County Council on Aging-Post House Ballroom. Dozens of attendees joined dozens of exhibitors representing state, local, and community agencies in providing information to seniors in attendance. Attendees were not only able to gather information about services in our community, but also sign up for door prizes and enjoy free refreshments and fellowship.